Maybe you’re brand new to the idea of budgeting and find your eyes glazing over when the topic comes up—annoying because you totally meant to watch that “Intro to Budgeting” video, right? We’ve all been there. 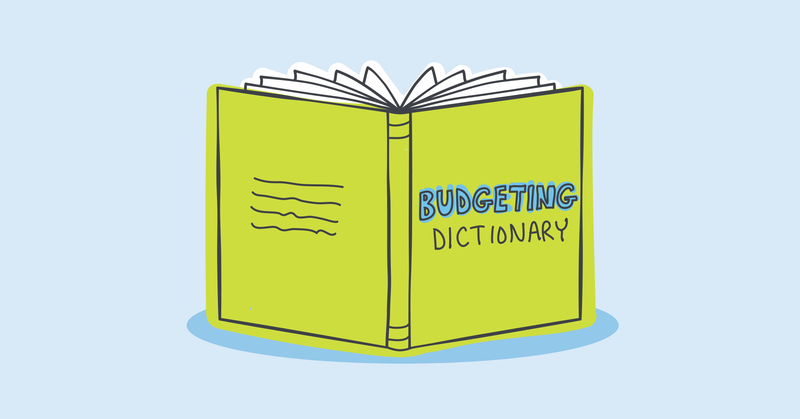 So, how about a list of common budgeting words and terms to help you quickly get into the groove? It’ll help make budgeting a little less foreign and, hopefully, a little easier to digest. Assets – An asset is something of value, like cash, your checking account, savings account or 401k. Better Tomorrow – One of the ginormous perks of having a budget. In fact, it’s probably the reason you had an I-Need-A-Budget moment (which you do). The best part about better tomorrows is that they’re custom-fitted to whatever you desire out of your life. Budget – A budget is a tool to help make sure that you’ve got money to spend on the things that are most important to you. It’ll change the way you think about money, eliminate your money stress, and help you feel in control of your life like never before. Really and truly. Budgeting – Budgeting is when you make a concrete, realistic plan for the dollars that you have in your possession this minute. Budgeting is a gift, because it’s about the present (couldn’t resist). Buffer – In order to live on last month’s income, first you have to save up enough money to cover a month’s worth of expenses. When you save this money and put it to work, YNAB calls that a Buffer. The Buffer allows you to put some space between when you receive your income and when you actually need to use it. This breaks the paycheck-to-paycheck cycle, provides you more time to plan when the unexpected happens, and also allows you to budget for the whole month at once. Direct Import – Direct import happens when you’ve connected your bank accounts to your budgeting software—we know a really great one, if you’re looking—and all of your transactions automatically appear in your budget. Emergency Fund – An emergency fund is money that you set aside to save the day. If you’re unexpectedly on the hook for a big expense that you didn’t see coming? That’s when you use your emergency fund. Envelope Budgeting – With envelope budgeting, your budget categories are represented by actual envelopes. Every time you have new income, you put the amount of money you want to budget for each category, in cash, into the corresponding envelope. It sounds inconvenient to us, too. 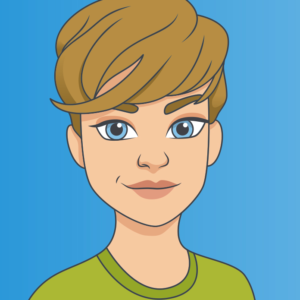 File-Based Import – File-based import happens when you upload your bank account data to YNAB using a file, like a spreadsheet. This is a great option if direct import isn’t available from your bank. Forecasting – Forecasting is preparing and planning your budget based on assumptions about what you expect to happen in the future. Forecasting is about what you do with money that’s not here, yet, and shouldn’t be confused with budgeting—need a refresher? The definition of budgeting is a quick scroll up. Interest – Interest is the money that you earn in profit when you invest your money. On the flipside, interest is the charge you incur when you borrow money (like on a credit card, for example). Interest is typically reflected as a percentage of the total money invested or borrowed. Liability – Liabilities are debts. A credit card balance is a liability. Sinking Funds (a.k.a. Rainy Day Funds and/or True Expenses) – A sinking fund is a fixed amount of money that you set aside each month to prepare for larger known or unexpected expenses of a fixed or variable amount. For example, we know that owning a car comes with the inevitable expense of repairs. It’s known. How much will they cost? No idea (hopefully very little). This is an example of a known, variable expense. An annual car insurance premium is an example of a known, (relatively) fixed expense. Stress – Something that grows enormously when you don’t budget. In fact, not only will a budget reduce stress, it will actually bring you joy. Ditch the extra stress; get a budget. Zero-Based Budgeting – If you’re a YNABer, you know that every dollar gets a job. So, if you give more money to one category, you have to give less to another. That is zero-based budgeting. And it works, because it forces you to clarify your priorities. So, there you have it! 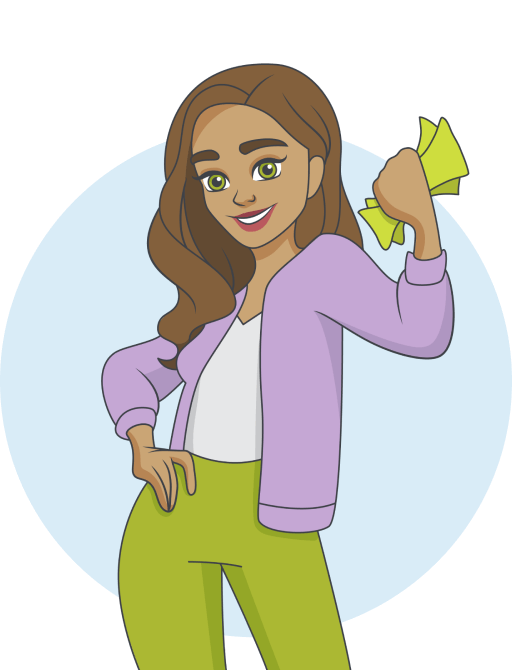 Understanding these definitions is a great first step to go from budgeting beginner to budgeting winner! Note: We’ll periodically freshen up this list with new glossy glossary terms to keep you well-informed.